1 February 2011 | Some new works have been added to our portfolio! 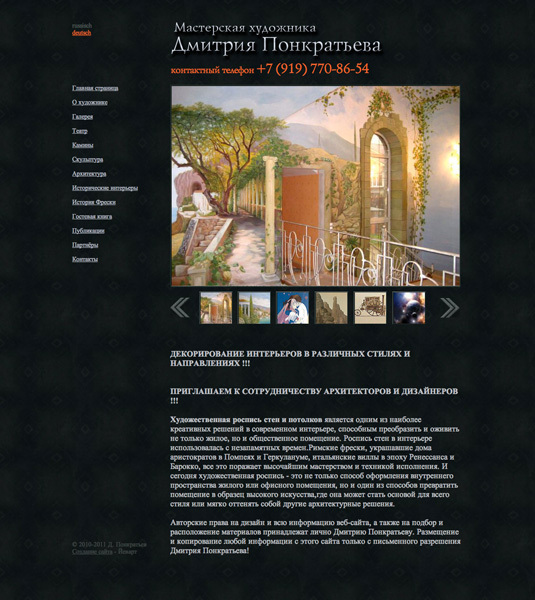 It is Art-project for Dmitry Ponktatev, E-card for beauty salon "Scherzo", Business-site for Gallery "Izmailovo". There are more works in our portfolio! 5 January 2011 | Happy New Year! The beginning of this year is quite cheerful. 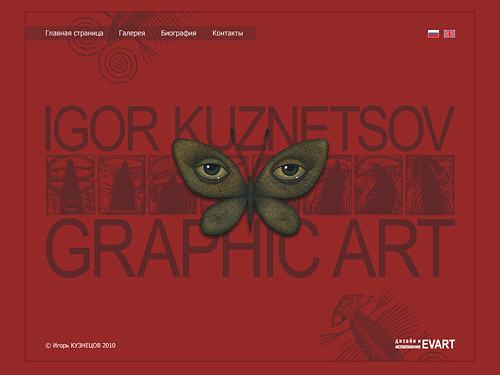 at the same time we have started projects: Art-project of Dmitry Ponktatev and e-Card for Gallery "Izmailovo". 6 December 2010 | Our profile on Facebook! It is one more helper for representatives of creative professions. 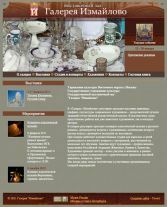 There is information about Art-project: news, achievements, done projects. 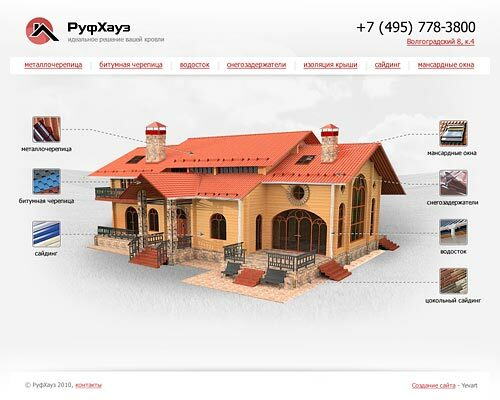 We are planning to make the same for Business-site projects. 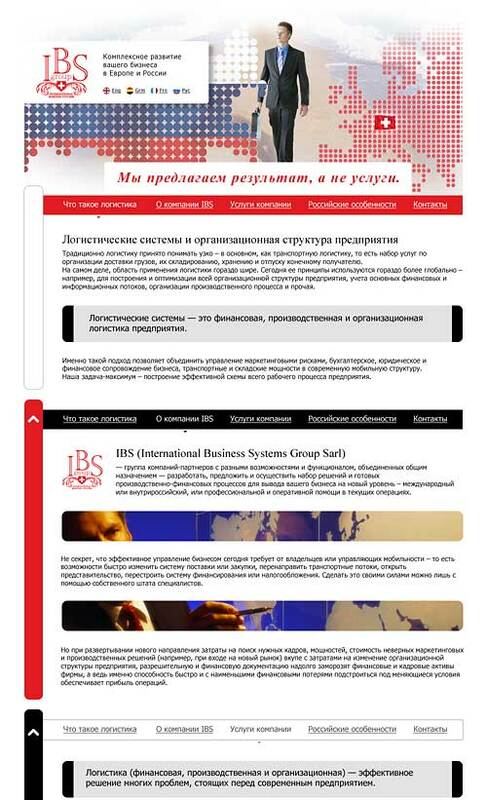 17 November 2010 | Results of web-solutions research "We are different!" have been published! The main idea of the research is to describe the important points of selecting a partner. There is a chart with solutions of various companies. 4 November 2010 | Some new works have been added to our portfolio! 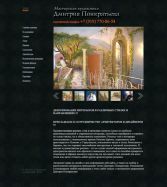 It is Art-project for Igor Kuznetsov, E-card for IBS (International Business Systems Group Sarl), Business for roofing company "RoofHauz". There are more works in our portfolio! Along with the company itself the website is changing for the better, absorbing and accumulating new ideas and functionality. The new website is based on the renovated conception. As soon as it works properly some promos are planned to be started. 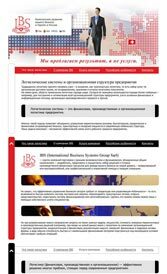 Check out our news regularly, don’t miss considerable discounts! 19 October 2009 | Michael Ivanov’s master class “Contextual advertising and websites search optimization”. Michael is one of the founders of IMIKS Company, which specializes in advertising campaigns of premium class in Internet. The company is also occupied by website analyzing and pure search optimization. IMIKS has been EVART’s partner since 2007. There is laconic and functional design, convenient navigation. In case you need to catch urgently maximum of the latest information about brand-new autos, don’t hesitate to visit maximum41.ru, you are not going to regret! 7 May 2009 | EVART moved to a new office located in 10, 2nd Roshinskaya Str (Tukskaya metro station). What can one say here? Everything’s growing and changing, so are we. EVART has been always trying to be up-to-date. Now it’s a time for growth, more clients, and more projects. The new office will let us work more productively. We are there to serve your every need! Long and profitable cooperation with Moscow artists and art-galleries proved that a small amount of people uses Internet opportunities to the full. To let everyone interested be a part of the lucky Internet services consumers, we announced the promo “Every third website’s for free”, moreover it coincided with EVART’s birthday. The promo details one can learn here. Check out for other news!